SPREO's powerful, cloud-based Content Management System gives complete control over venue maps, points-of-interest, indoor and outdoor pathways, hardware management, and analytics. Nailing precise blue-dot positioning in indoor environments involves intricate techniques. SPREO abstracts out these intricacies to offer a truly agile and feature-rich SDK. 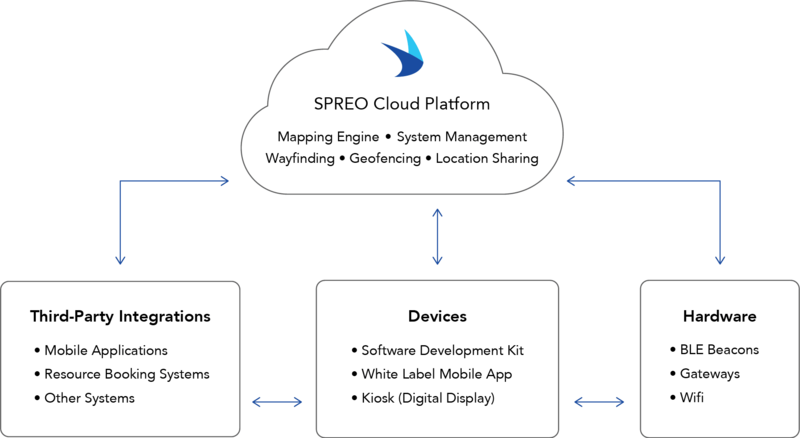 SPREO’s patented indoor positioning technology uses beacons strategically placed throughout each floor to provide Blue Dot navigation, asset tracking, and context aware information. Developer-ready indoor mapping engine includes pathways, user-defined routing, directories, place marks, and points of interests (POIs). SPREO’s geospatially accurate vector-based maps provides hi-fidelity experience to mobile users. Place marks on the indoor maps can be defined using SPREO’s CMS and/or via the API to improve the user experience in real-time. Facility administrators can use web-based SPREO CMS editor to customize and manage directories, pathways, points of interest, campaigns, push notifications, and geo-fenvce zones. Updates to content are auto-synced to SPREO powered apps and digital kiosks…. This eliminates the need to republish apps to Apple and Google app stores. Monitor current operational and power-radius status of every navigation beacon in each facility, IOT gateways, and connected digital displays. 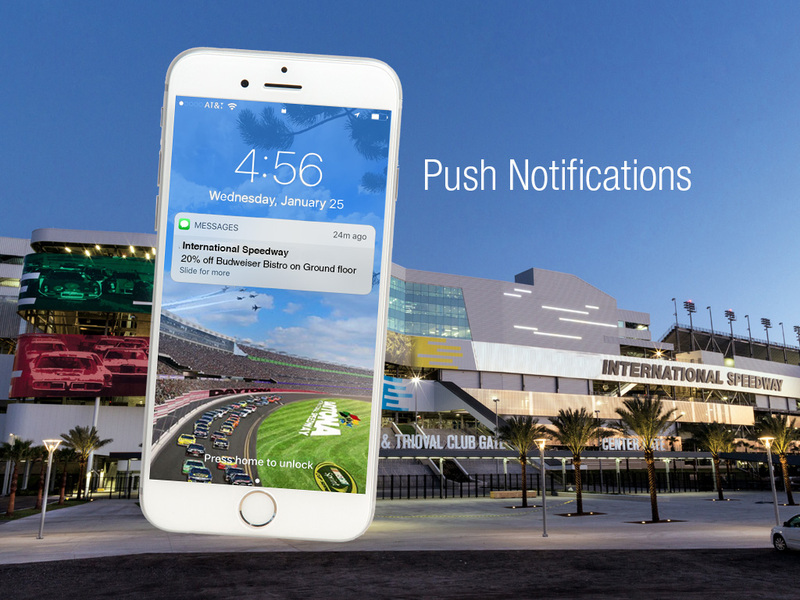 Get auto-notifications for hardware issues and “health” visualization of all facilities. SPREO’s zone-detection technology is highly rated in the industry and deployed across the globe. It can detect with 100% precision if a mobile device is IN ZONE or OUT OF ZONE to trigger proximity-based features and actions. SPREO beacon-agnostic software integrates seamlessly with a wide variety of sensors (Bluetooth beacons & Wi-Fi), IOT gateways, iOS and Android devices and digital displays. Built-in APIs securely integrates with internal corporate productivity tools, Microsoft Exchange, Google Maps etc. to build 360-degree productivity solutions on a wide-range of mobility platforms. 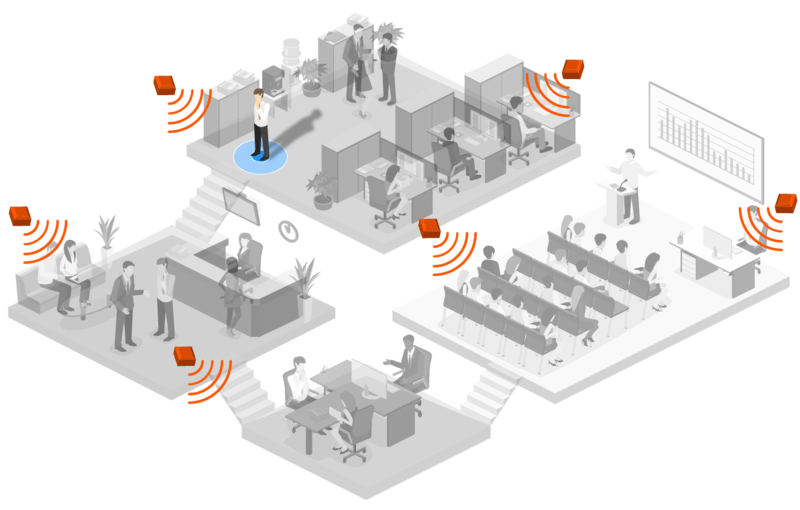 SPREO’s Indoor Positioning SDK can be integrated with any industry application. It has been successfully deployed in Health, Retail, Corporate Offices, Entertainment, Transportation and more….